As parents, grandparents, siblings, even cousins and family friends, we want the very best for the young people in our lives because we care for them and know they can’t always take care of themselves. This means everything from taking care of basic necessities like feeding an infant to the less necessary but still helpful things like teaching a teen how to drive. These loving acts are even more important when the children in our lives have physical, mental, or medical needs beyond what is considered normal. After all, most parents probably don’t know how to insert an IV or care for a catheter; but, if that’s what a child needs, family and friends will do as much as they can to provide the care needed. Of course, as we mentioned, most parents don’t know how to handle a lot of medical care or have the training to provide in-home pediatric occupational therapy or physical therapy (beyond what is taught by a therapist). This is where at-home pediatric health care comes in. 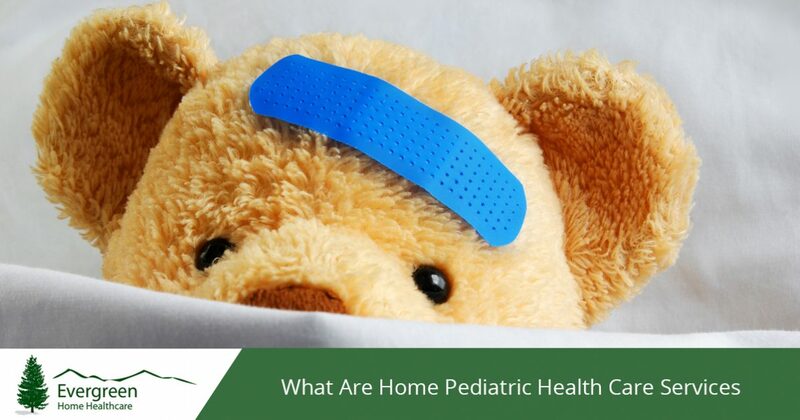 The short answer is that home healthcare provides any of the medical and therapeutic services your child needs from the comfort of your home. But in-home pediatric health care is so much more than that. At Evergreen Home Healthcare, we specialize in providing pediatric health care services for special needs children and those with acute and long-term medical needs to improve their quality of life and give them the care they need. At Evergreen Home Healthcare, we offer a range of medical care services whether your child needs care for a short term medical issue or ongoing care. In order to provide the best medical care, we hire CNAs, LPNs, and RNs to provide everything from simple medical tasks to more skilled needs. This can include IV administration and medicine dosing as well as wound care, catheter and ostomy care, and routine monitoring and notation of blood pressure and pulse oximetry. We strive to provide as many home care nursing services as possible so your child can receive medical care at home rather than staying stuck in the hospital. 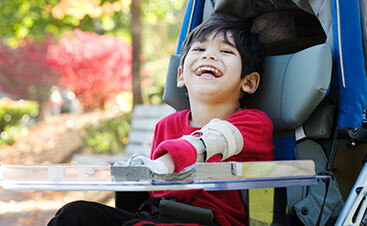 We know that many special needs children benefit from ongoing therapy of some form or another. Depending on physical and mental limitations, it can be cumbersome or not possible to travel to various therapists multiple times a week. To ensure your child gets the therapy sessions they need, we can send pediatric occupational therapy and physical therapy specialists to your home. This includes everything from surgical rehabilitation done in your home to weekly motor skills strengthening and even home evaluations and modifications based on your child’s needs. Whether your child needs physical, occupational, or speech therapy (or a combination of different therapies), having a therapist come to your home generally means your child is more comfortable and gets the individual attention they need. Sometimes, especially for older special needs children, taking care of basic hygiene needs on your own can be cumbersome, even without other medical care needs. 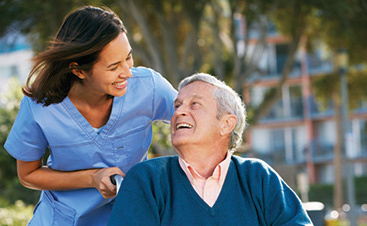 Our CNAs can come to your home to help your child with bathing, dressing, oral care, and other personal hygiene needs as well as in-home ambulation assistance and transfer help. Of course, if your child needs a bit of extra personal care in addition to medical or therapeutic care, just talk to our staff so we can have the right staff come to your home. Of course, caring for your child’s physical needs is the basis of our pediatric health care service, but our compassionate and professional staff offer more than that. We take the time to thoroughly vet every staff member to be sure they are well-trained and properly licensed so you can trust that your child is receiving the best care. Not only does this give your child every level of care they need, you get peace of mind at the same time – and maybe even a bit of free time! We hope you’ll feel comfortable enough with our staff that you can go off and take care of the laundry, cook dinner, or whatever else you need to get done while we look after your child. In addition, we also take the time to provide home evaluations and alterations so you can be sure your home is going to help your child’s needs rather than hinder them. Whether the goal is to improve ambulation in conjunction with those in-home pediatric physical therapy sessions or make moving around the house easier during healing and rehabilitation. Our trained professionals can also teach you how to help your loved one without them there and educate you about how the chosen methods and techniques are helping your child. When it comes to learning new skills through speech, physical, and occupational therapy, many special needs children are more receptive to those sessions when they are in a comfortable, familiar environment. Bringing therapists and medical care to your home allows your child to stay somewhere they are comfortable with and get individual attention throughout each session. This will, hopefully, help build a rapport between the therapist and your child, which will support more receptiveness during therapy. 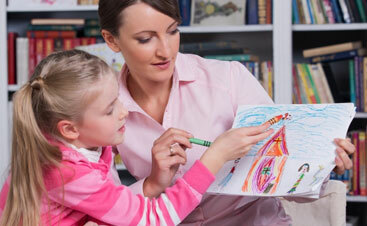 See to your child’s needs with in-home visits from local, trusted healthcare professionals. Contact Evergreen Home Healthcare to get a variety of pediatric health care services for your child.